EXCLUSIVE / The great tragedy with the pharmaceutical industry is that it keeps denying that it lobbies against transparency in clinical trials, says Ben Goldacre. 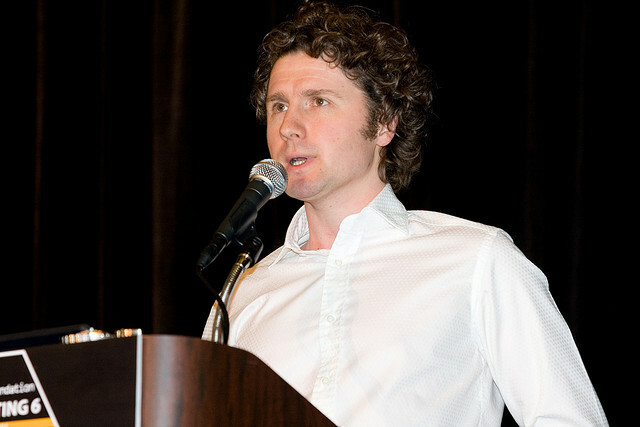 Ben Goldacre is a British physician, academic and author of the best-selling books Bad Science and Bad Pharma. He is also a leading figure of the AllTrials campaign to register and publish all clinical trials data, past and present. He spoke to EURACTIV’s editor and publisher Frédéric Simon on the sidelines of the conference Transparency and public health – how accessible is scientific data? What do you think of the EU’s clinical trials regulation in terms of transparency? You’re referring to the historical data issue? You mean the meetings that took place in preparation for the EMA’s pro-active transparency policy? This is correct. The ones that have been complained about by Jim Murray [EU health blogger and former director general of the European Consumers’ Organisation] in his latest complaint to the EU Ombudsman. I think if a motivated and capable group of people are interested in spotting risk signals of side effects in another company’s information then that sounds like a very sensible use of everybody’s time. The whole point of science is about replication and reviewing it. It’s about showing your’re working. A number of concerns were being raised today about the ongoing EU-US free-trade negotiations. Do you think it’s going to shape heavily the way that clinical trials transparency is being done in the future, or are we safe now that there is a regulation in place? It is increasingly clear to me that this is being used as a deliberate rhetorical tactic to derail a serious discussion around how to share individual patient data, and it is remarkable not just here but everywhere to see organisations, which report to patients, that as soon as trials transparency is mentioned, there’s no serious discussion of the mechanics of how we can positively work towards delivering it. There’s no serious detailed discussion of the huge benefits, especially for people with orphan diseases. It leads immediately to this idea that patients can be re-identified. That is of course a risk, but it’s a risk we have been managing in the world of epidemiology for generations now. Nobody is suggesting that medical records should be posted openly on the Internet. Everybody is very clear that you need to have an application process. You have to demonstrate that you are a serious researcher with a serious question. You have to ensure that patient privacy is protected. When you see people repeatedly raising this, apparently not having heard the reassurance that came earlier in the conversation, to me that looks like it’s strategic, rhetorical derailment rather than a serious attempt to engage in a discussion.